THE series has thus far (see part 1, part 2 and part 3 if new to this series) covered the EPO scandal which is connected to the Croatian authorities and likely the German authorities too. Andrej Matijević and Željko Topić (EPO) were named for their roles. 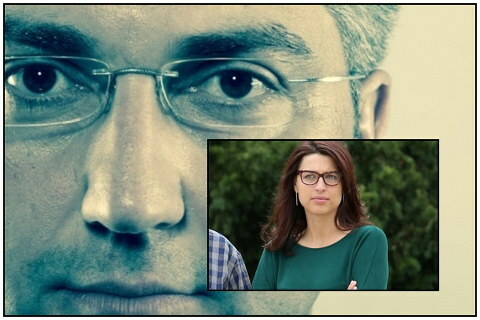 In the English version below there are a few small additional interpolations to clarify some details for readers not familiar with the details of Croatian domestic politics etc. These activities have a significant influence on the Croatian Intellectual Property Office and its operations. In addition to the various legal procedures, the current Croatian Prime Minister, Andrej Plenković, is personally informed about the scope of the corruption at the DZIV and this appears to have played a decisive role in the fact that a new Director of this very important Croatian institution has not been appointed for over a year now although the deadline for applications for the position has long since passed. It should be emphasised that Tena Mišetić (annexed Photo #3), the chef-de-cabinet of the Croatian Prime Minister, was reported to the Croatian Parliament’s Committee on Conflict of Interests a few years ago, because of her family’s business network, where her mother who is employed in the management of the German T-Com in Zagreb played a leading role, and indirectly her father Ivan Mišetić (annexed Photo #4) who is on the board of Directors of the German T-Com, in view of the planned Deutsche Telekom operations relating to the construction of the optical network for broadband Internet access in Croatia involving a budget of billions of euros. 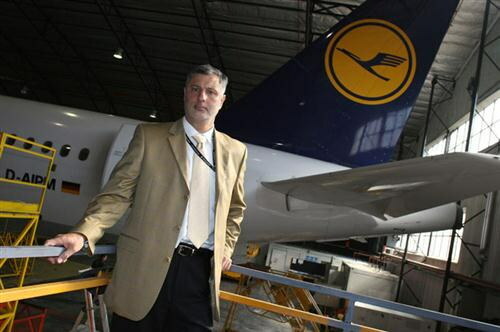 In contrast to the mother of the Prime Minister’s chef-de-cabinet, her father has already shown himself to be corrupt because he occupied two positions at the same time: as director of Croatia Airlines and at Lufthansa in Frankfurt, which was a most glaring example of a conflict of interest and which is why he was summarily dismissed by the Croatian airline. Reports were published very recently in daily newspapers claiming that Mr. Mišetić is one of the most corrupt persons in the Republic of Croatia, worse than Sanader and Vidošević (former Prime Minister and former President of the Croatian Chamber of Commerce, who both faced serious corruption charges). It is difficult to believe that Ms. Merkel does not know anything about Mr Mišetić, given that Mr Mišetić is a member of the Supervisory Board of Deutsche Telekom whose leading shareholder is the Federal Republic of Germany. Diese Aktivitäten beeinflussen die kroatische Institution DZIV und ihre Arbeit maßgeblich. Neben den diversen Rechtsvorgängen ist auch die Tatsache, daß der Ministerpräsident der Republik Kroatien, Andrej Plenković, persönlich über die Reichweite der Korruption in DZIV informiert ist, ausschlaggebend dafür, daß bereits seit über einem Jahr kein neuer Direktor dieser sehr wichtigen Institution in der Republik Kroatien ernannt wurde, obwohl die öffentliche Ausschreibung schon längst vorbei ist. Hier muß betont werden, daß die Leiterin des Kabinetts des Ministerpräsidenten der Republik Kroatien, Tena Mišetić (#3. Foto in der Beilage des Textes) vor gewisser Zeit beim Ausschuß für Interessenkonflikt des kroatischen Parlaments angezeigt wurde, und zwar wegen Netzes ihrer Familie in Geschäften, wo die führende Rolle ihre Mutter hat und welche als Mitglied der Verwaltung bei deutscher T-Com mit Sitz in Zagreb angestellt ist und auch indirekt über den Vater Ivan Mišetić (#4. Foto in der Beilage des Textes), welcher Mitglied des Aufsichtsrates der deutschen T-Com ist, wegen der künftigen Deutsche Telekom – Arbeiten, Bau des optischen Netzes für Breitband-Internetzugang in der Republik Kroatien, welche fast einige Milliarden Eur schwer sind.